Bosch is an eminent manufacturer of pneumatic products like actuators, filters, vacuum equipments, process gas equipments etc. to the varying need of customers worldwide. Owing to the great demand of Bosch products in the market for their quality manufacturing customer often find great difficulty in buying them in required proportion or quantity. The super hydraulics and pneumatics dealer of Bosch pneumatics is well aware of this fact and that is why for the comfort of buyers, maintaining a large stock of these products. Customers from national and international regions can buy these pneumatic parts from the exporter Super hydraulics and pneumatics anytime by visiting its website. There are so many types of pneumatic actuators that are manufactured by the Bosch apart from the air dryers and pressure control units. You can buy Bosch shuttle units, mini slides, modular handling system, clamp cylinders, twin rod, pneumatic cylinders, single valve, , directional control valves and non contact transfer units from the given seller. Super hydraulics and pneumatics never give any tinge of worry to their customers by managing these entire products in high range. That is why buyers from national and overseas grounds are purchasing these pneumatics and hydraulics from the given place. This is very true that Bosch is not the only manufacturer which is capable of manufacturing the high quality as there are many others in the row. But the reason why the given brand is preferred by the dealer is its other features like rational cost as per the quality and large variety of the products. Other manufacturers which are providing the quality material are charging too much high and customers get offended sometimes with such costs. But that is not the case with Bosch which is selected by the super hydraulics and pneumatics by keeping the demands of the customers in mind. What is the process of delivery for these pneumatic parts to customers from Super Hydraulics and Pneumatics? Super hydraulics and pneumatics need not any introduction for the customer as it has established itself in the market among its buyers with a strong image. 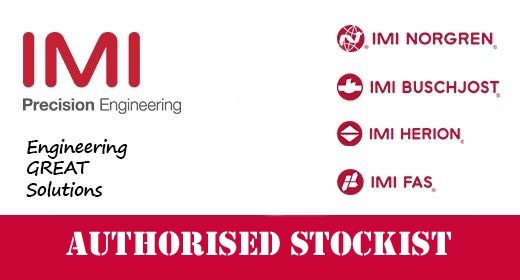 All the people concerned with buying pneumatic parts are now aware of the fact that this stockist is sourcing its products from the best places like renowned manufacturer and wholesalers from global regions and then supplying further to its customers. That is why the process of delivery of the parts is also as per the expectations of the buyers. Not only domestic but at the same time international deliveries of the Bosch products are initiated on time without wasting even a single moment. There are many people who have to go through many worst experiences while purchasing big quantity of the pneumatic and hydraulic products for quality and price. Such customers can easily buy Bosch products from the Super hydraulics and Pneumatics by paying the genuine price to the supplier.